As global rates of Type 2 diabetes rise, the World Health Organisation (WHO) has chosen to shine the spotlight on the disease this World Health Day. Some 422 millions people are currently living with diabetes, according to WHO. While Type 1 diabetes is an autoimmune condition which is often inherited, Type 2 is the most common form and is can be caused by factors including obesity and age, which stop the pancreas from producing enough insulin to process sugar. Obesity – the condition of being grossly fat or overweight. A. Here are some of the world’s healthiest diets, which help to stave off chronic diseases like diabetes. 1. 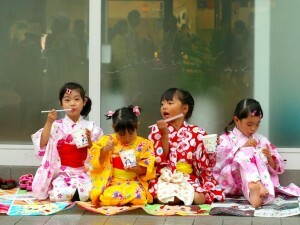 Ask Japanese, what do you think the reason why Japan is one of the world’s healthiest country? 3. What do you think the reason why Japanese love to eat raw foods?